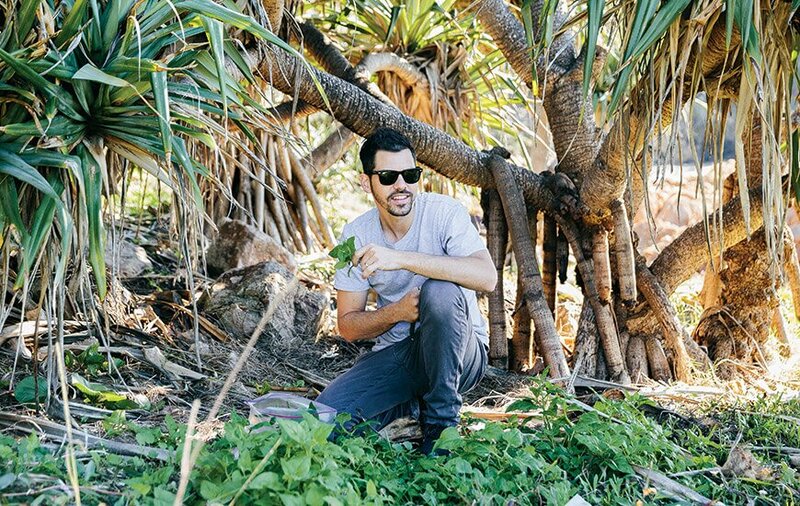 To the untrained eye, it’s almost impossible to spy an edible plant from a weed, but that’s where Nick Blake’s incredible sense of sight and taste come into play, as the local chef pays homage to the exotic greens that would otherwise go unnoticed. 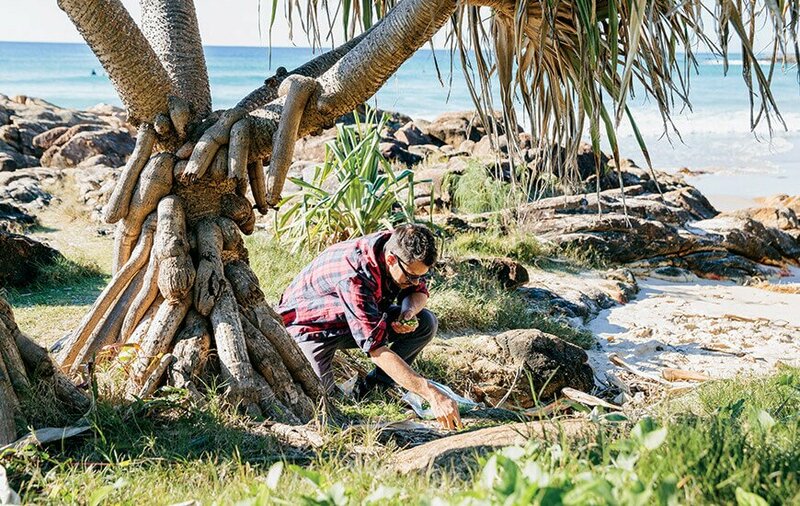 Stepping through the foliage at first bay in Coolum Beach, Nick Blake reaches down and plucks a sprig of headland sea celery and pops it into his mouth, describing the taste to be very much like parsley. It’s a crisp morning down by the beach and he’s foraging for the aforementioned sea celery and warrigal greens, otherwise Nick says he would normally have been out diving for seaweed offshore. “Today I got a little bit of headland sea celery, there is a little bit around the rocks under the pandan trees, and I picked some warrigal green tips for plating; they’re soft and delicate, the bigger leaves are a bit hardy and suited more to cooking,” he says. 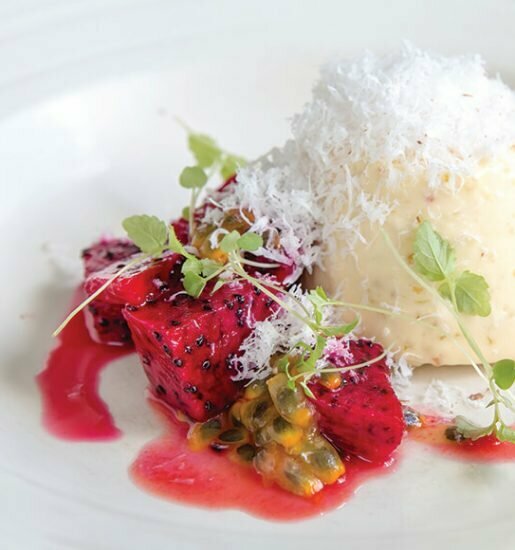 Nick, a chef of six years, had been working as sous chef at Noosa restaurant Wasabi, which has a penchant for Australian cuisine prepared with Japanese techniques, but in his downtime he sought his own inspiration to keep the creative juices flowing. “I started coming out to the landscape and trying to forage and finding out what the wild flavours were and how I could play with them and create my own type of food,”he says. 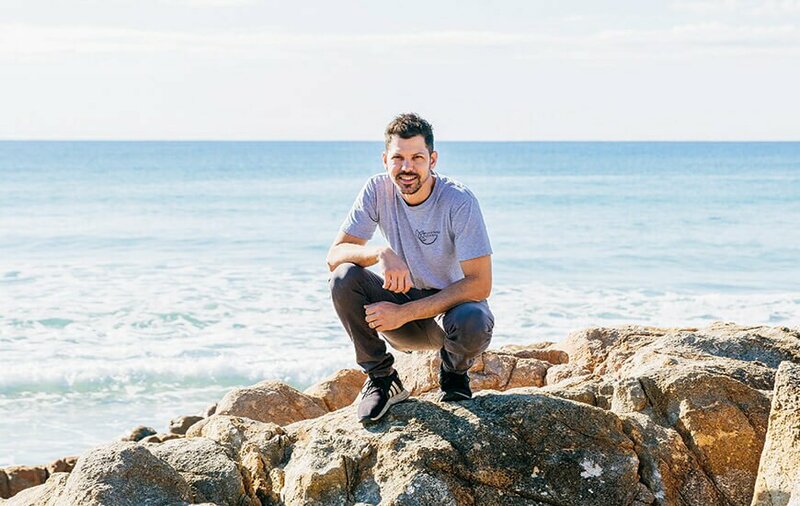 After two years at Wasabi, Nick was selected to join the Noma team in Sydney, where their whole menu is about foraging, connecting to landscape and seasonality. Nick says with so many options available to chefs in the supermarkets, it was rare for them to venture outdoors, and while everyone else was playing with different cuisines and putting their own spin on certain dishes, Nick was more interested in finding out what it meant to be a chef on the Sunshine Coast. Two years ago, he founded Wild Forage Australia, supplying locally foraged ingredients to chefs in South-east Queensland. “A lot of the things I pick are not natives, they’re exotic – warrigal greens, which are localised; sea celery, which there are two types and it tastes very much like parsley and there are a couple of species local to this particular beach; sea lettuce and sargassum, which is an introduced species known as Japanese wireweed you can pickle. There are lots of succulents like ice plant, sea purslane, sea blite and sea sprays, and they can all be used for a salty component to add a textural component on a seafood dish for example,” he says. “Ice plant is really briney, salty and lemony and the flavours are a reflection of where it’s growing – it’s right by the beach, it has the salinity, sun and minerality of the beach. 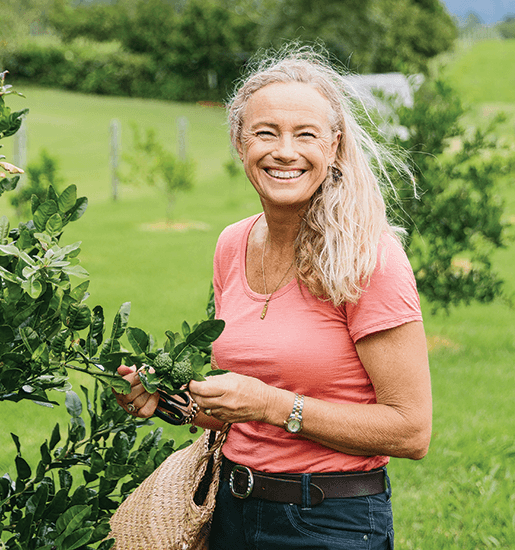 That’s something the top chefs in Queensland are after because it ties their food in with the landscape because it has that familiarity and flavour. I’ve seen people try and grow ice plant and it has no resemblance, it’s not crispy, it’s not salty, it’s just a green leaf that doesn’t resemble its natural wild flavour. “In the Hinterland, I’ll get wild flowers, wild radish and slender celery which has little flowers coming out in August and September, there is also stinging nettle and watercress that is exotic and introduced in our waterways. Nick spends 50 hours a week in the kitchen and 35 hours foraging and says being out in the elements, surrounded by textures, colours and flavours continues to inspire him when it comes to creating the dish and plating up. “If you were to throw a net over the Sunshine Coast and create just from what’s inside our geographical boundary, all of a sudden you have limitations,” he says. Nick says he used to pick a little bit of local samphire (before he knew it was a true native), but as it’s very limited here, it’s not sustainable to be picking it, which is why he chooses to pick exotic species which have been localised. Under the Nature Conservation Act, there are three categories of species: threatened, native and least concerned species and given foraging is a relatively new practice commercially, Nick says specific foraging permits don’t exist. However, because he is picking common weed species, there is no need for a specific harvesting permit and formal sustainability management plan as he collects only parts of plants. Formal consultation has been sought with local council and a record of due diligence provided to The Department of Environment and Heritage Protection for species he collects. “There is a certain way to do things and certain way to harvest things, and having that technique and knowledge and passion for what you’re doing is really important. You can go out there and find little patches of something but if you take it all there will be nothing for the next day,” he says. 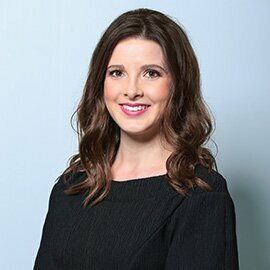 “It is a real gift and we need to use it with respect and if everyone goes out there with the wrong mindset and raids things because they know it’s edible, legislation will change to potentially ban these. The freedom we have to go out and explore, connect and deliver a different experience won’t be there and that’ll be a shame.